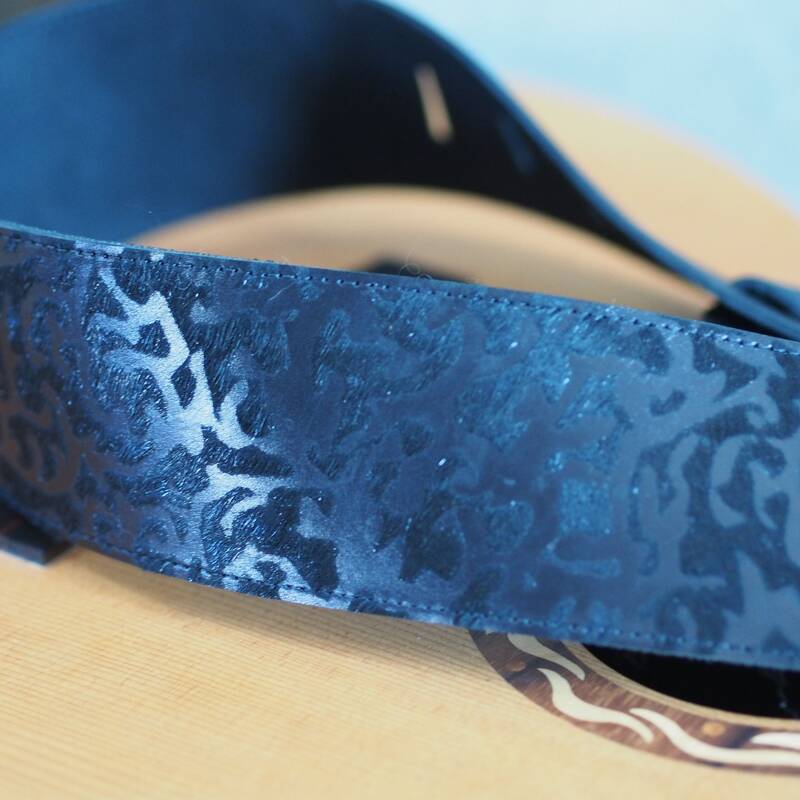 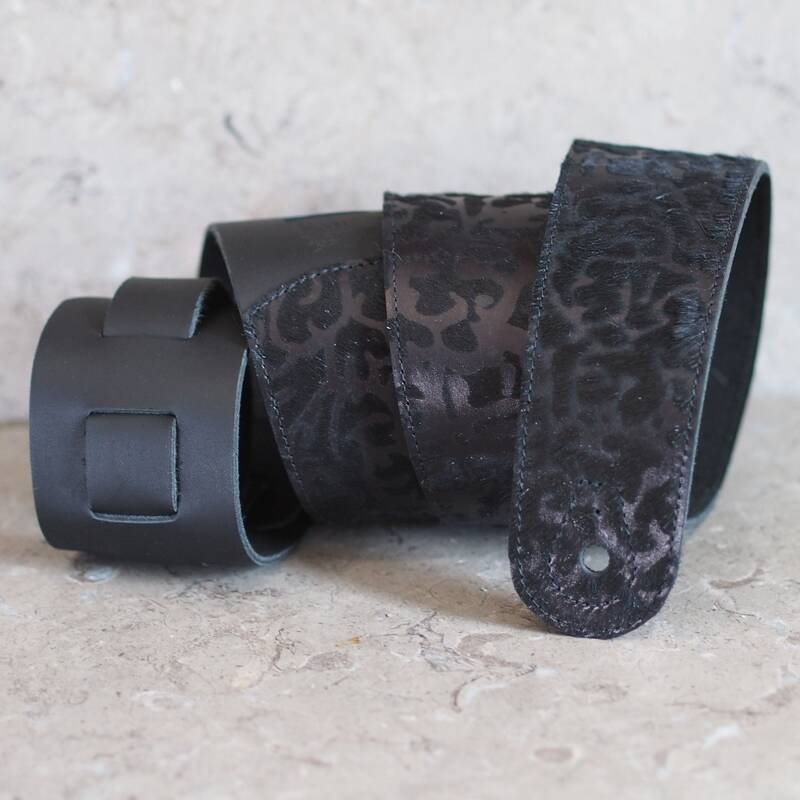 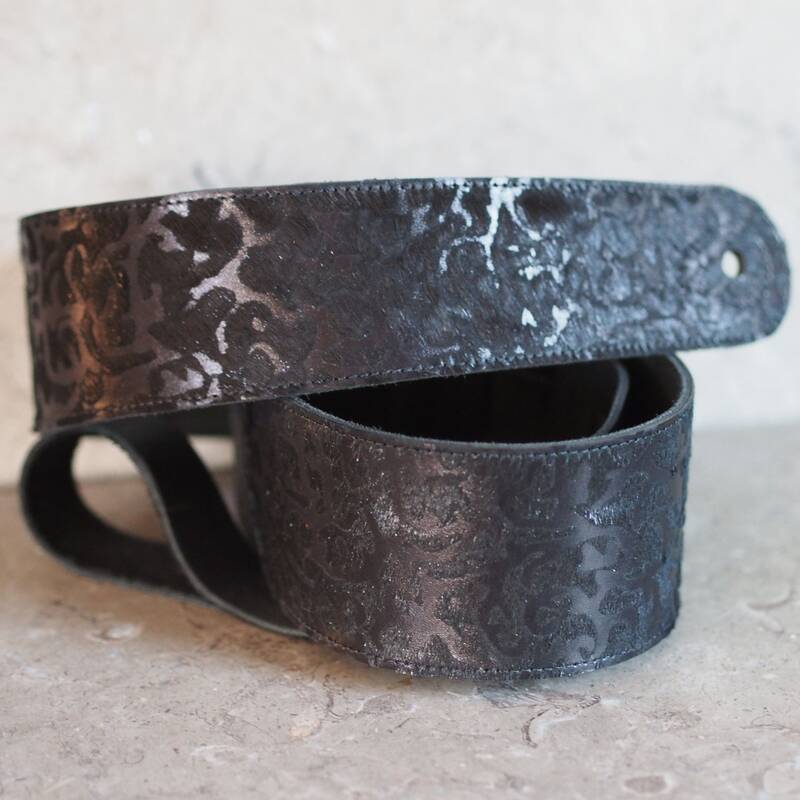 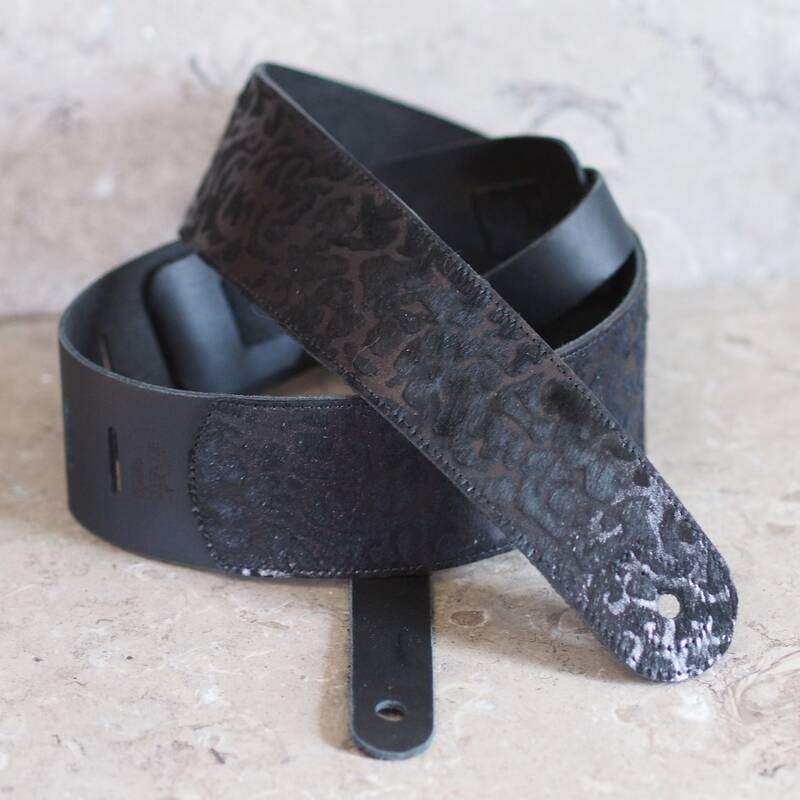 This guitar strap is made with a very unique calfskin that has been laser cut with damask scroll pattern to alternate silky hair-on-hide with glistening black top grain, so its pattern is created by shade, depth, and textural differences, and pending the angle of the light and bending of the strap, will be very hard to see, or well defined, as demonstrated in many photos--all taken with natural light. 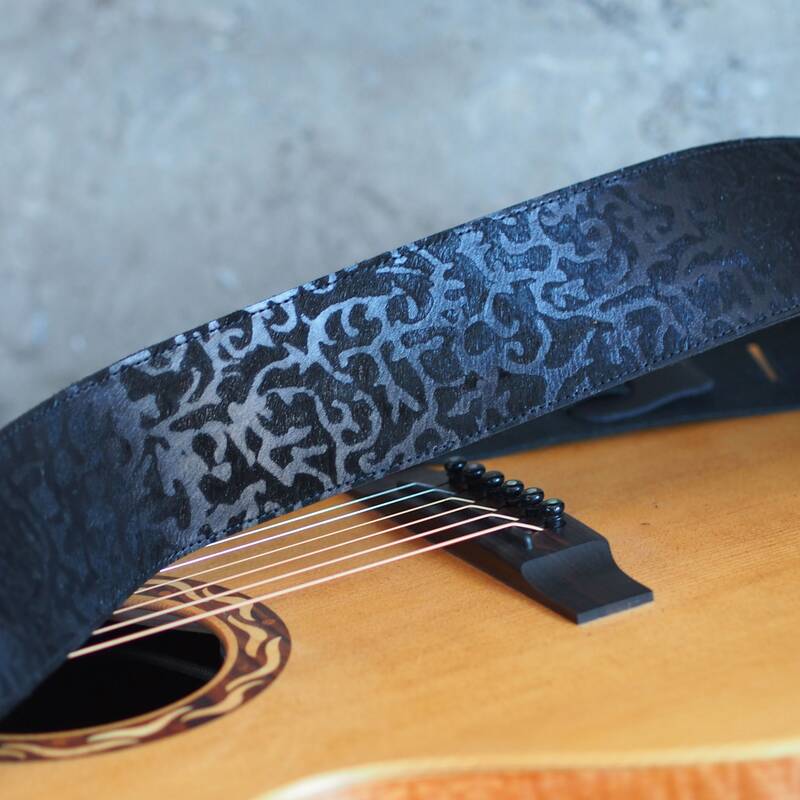 This unique calfskin was sourced from Turkey. 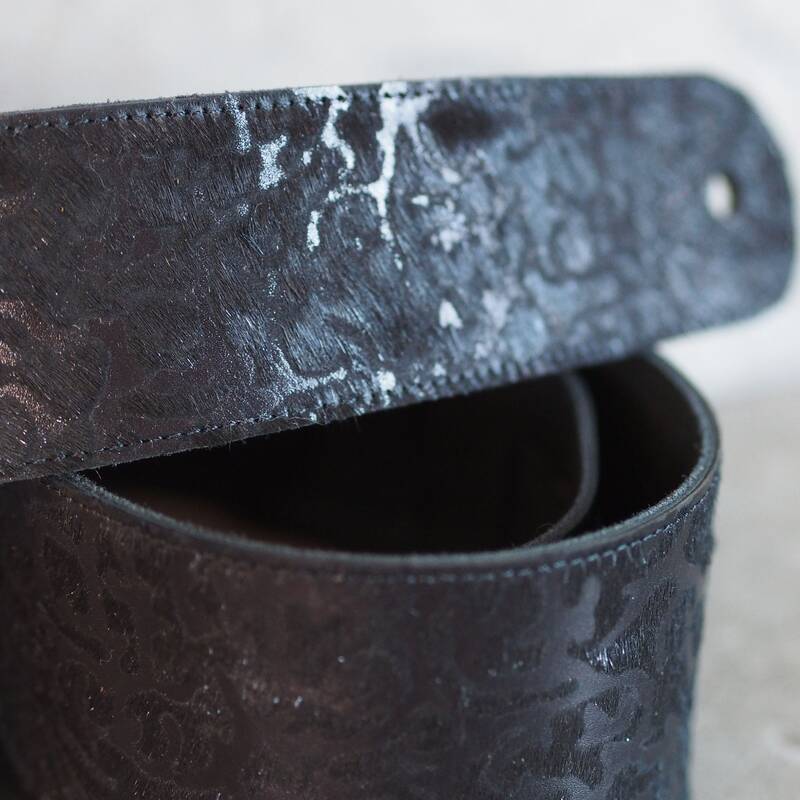 This calfskin is applied over a thick but very supple smooth dark brown steer hide, and is glued & edge stitched with dark brown thread that is nearly invisible, leaving the front peg hole and adjustment slot area to show off the main strap cowhide. 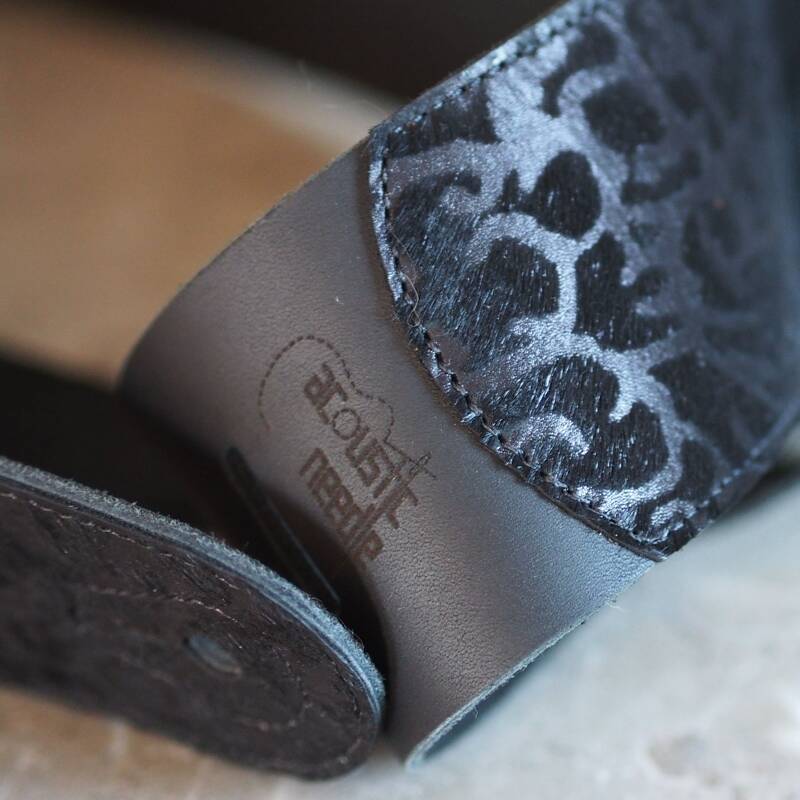 My Acoustic Needle logo is laser etched between the end of the damask hide and the first slot. 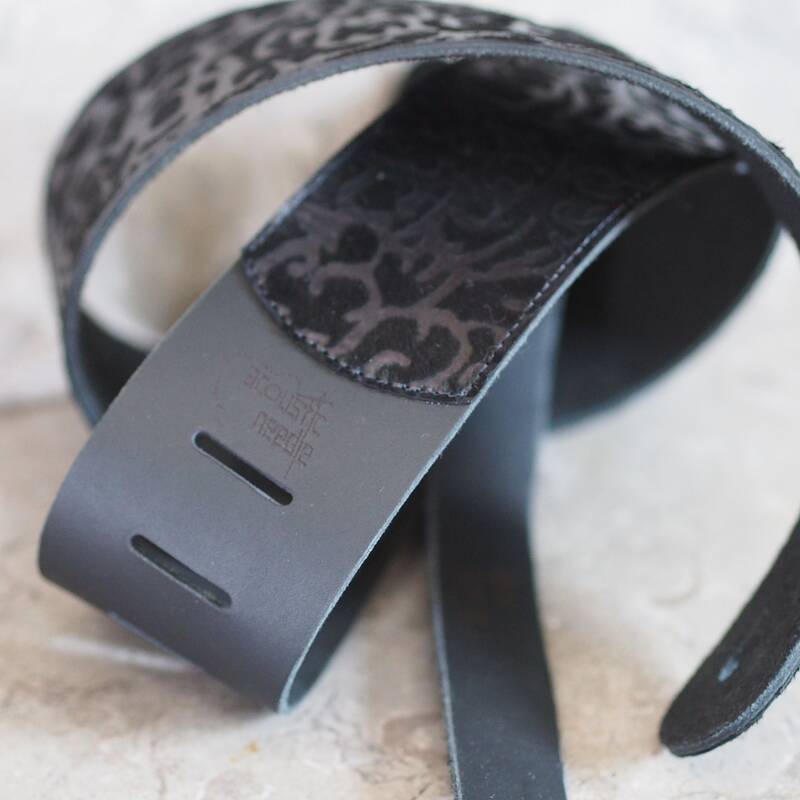 The 1" wide adjustment strap is made with the same leather as the main strap so it can weave through the adjustment slots easily to adjust fit, but it is still firm, and will not stretch, and has been laser etched with my logo. 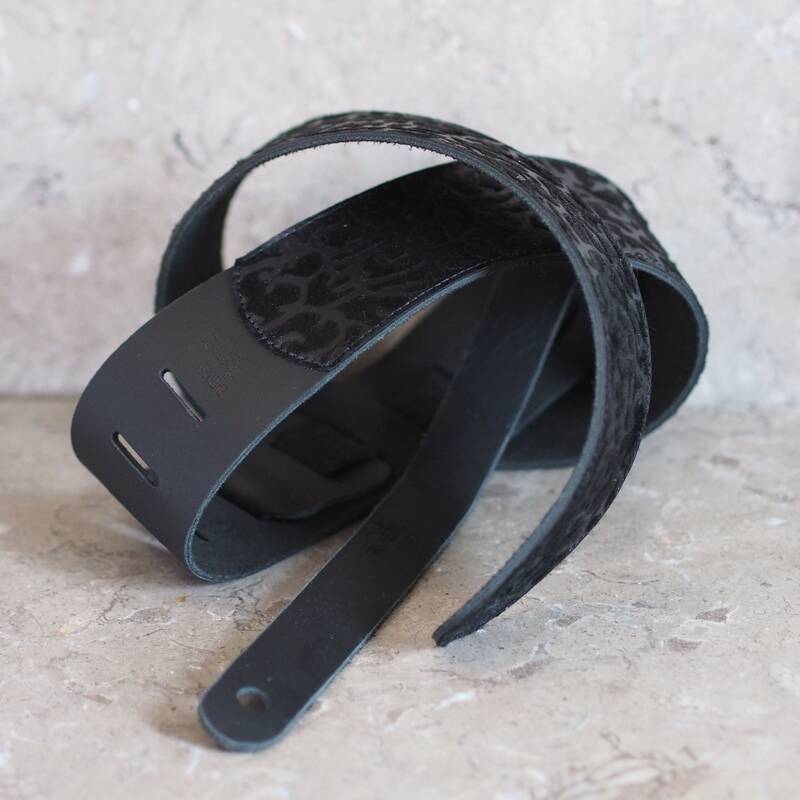 All the edges of the main leather are trimmed with a small radius bevel tool to soften the look. 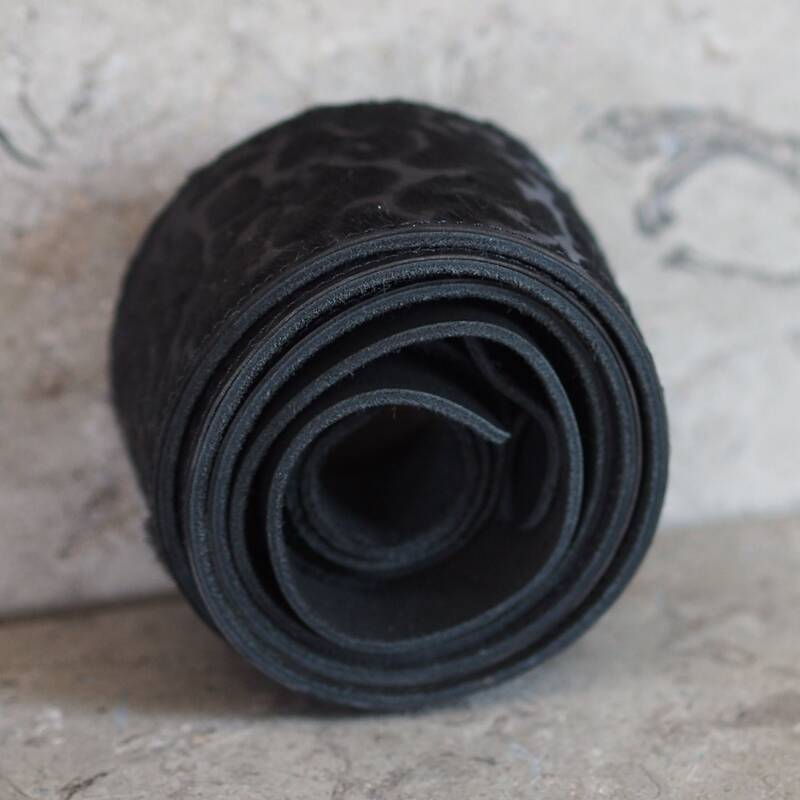 The cowhide has a soft suede split underside, so it will not readily slide out of position on your shoulder.